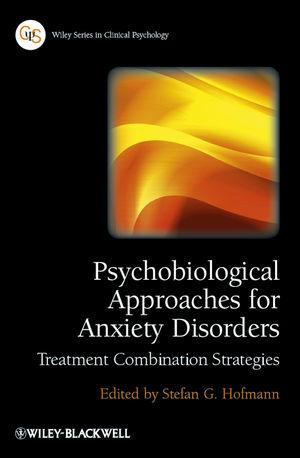 Psychobiological Approaches for Anxiety Disorders presents a comprehensive overview of the latest empirical evidence and research results on combining pharmacological agents and CBT techniques for the treatment of anxiety disorders. Stefan G. Hofmann is Professor of Psychology at Boston University and the Director of the Psychotherapy and Emotion Research Laboratory. The incoming President of the Association for Behavioral and Cognitive Therapies, he is widely published with more than 200 peer-reviewed journal articles and book chapters, and 10 books, including An Introduction to Modern CBT (2011, Wiley-Blackwell).